Ginger Snap Crafts shares many creative and fun ideas for kids. 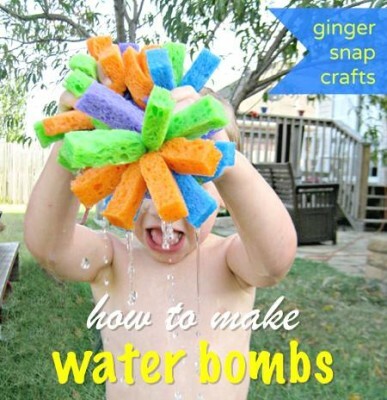 We like their post on how to make sponge water bombs. These make for fun water play, especially during the hot summer months. These water bombs are much safer for younger children, yet they are certainly appropriate for all ages. The best part is that they are reusable and you don’t have walk around picking up blown up balloon pieces for trash.